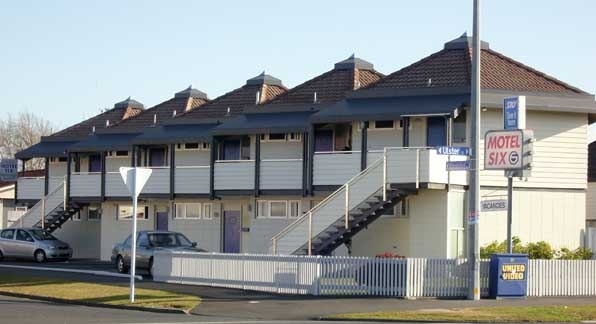 Quality budget motel accommodation, a stone’s throw from Hamilton's rugby stadium. Self contained units with full kitchen facilities, Sky TV, FREE WiFi and more. Although we are a budget motel we pride ourselves on providing clean and quiet rooms (double glazing). Motel Six is close to Waikato Stadium, home of the Waikato Chiefs, close to Claudeland Event Centre, Waikato Hospital, Waikato river, Hamilton lake, seddon park, city central, skycity, supermarket restaurants and bars. Hamilton’s Founders Theatre and the Hamilton Gardens are also popular things to visit whilst in Hamilton. Waterworld and Miniput are close by for families looking for something to keep the kids busy, not to forget Hamilton Zoo with it’s impressive bird avery. Cheap rates are available for RSA members, corporate and long term rates are available upon request. Book Motel Six now on our website or give us a call for personalised service.